As the up-and-coming vice president and CEO candidate for a Fortune 500 technology corporation sat before the CEO for his annual review, he was baffled to discover that the feedback from his peers, customers, direct reports, and particularly from board members placed unusual emphasis on one potentially devastating problem: his art of listening deficit. This executive was widely considered among the best and brightest in his company, but it was evident that this issue needed immediate attention if he ever hoped to advance to the top spot. Keep Yourself Honest. No habit is broken without discipline, feedback, and practice. As well as installing a personal mirror to reflect on your own behavior, find a colleague to give you honest feedback on how well you are tuning into the thoughts and ideas of your colleagues, managers, board of directors, and others. Explicitly lay out an exercise regime by which you will practice empathetic listening every day and strengthen your art of listening skills. Make a habit of asking yourself after interactions whether you understood the essence of what was said to you, the person’s point of view, their context, and their emotion. Also ask yourself whether that person knows that they were heard and understood. Harvard Business Review – The Discipline of Listening by Ram Charan. 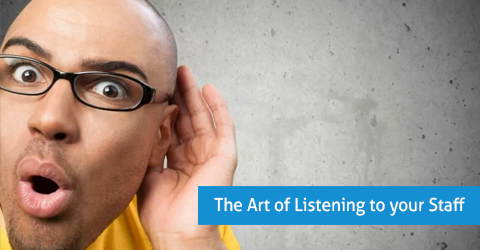 The Art of Listening. Oases Online manages all staff records and staff can be divided into a human resource area if they do not work for you yet. Upload resumes, background checks and monitor all required documentation as the staff provide it to you. Determine if an item is a deal breaker to working with children and oases won’t let you put that staff member with a student until all items have been received saving you time and money and potential problems. Use Oases Online to manage your tutoring business – Book a Demo today.